Did My Nails: Happy Birthday, America! Hooray for the 4th of July! For Independence Day, fireworks, backyard barbeques, 1812 at the Boston Pops, and uploading that computer virus to the alien mothership! 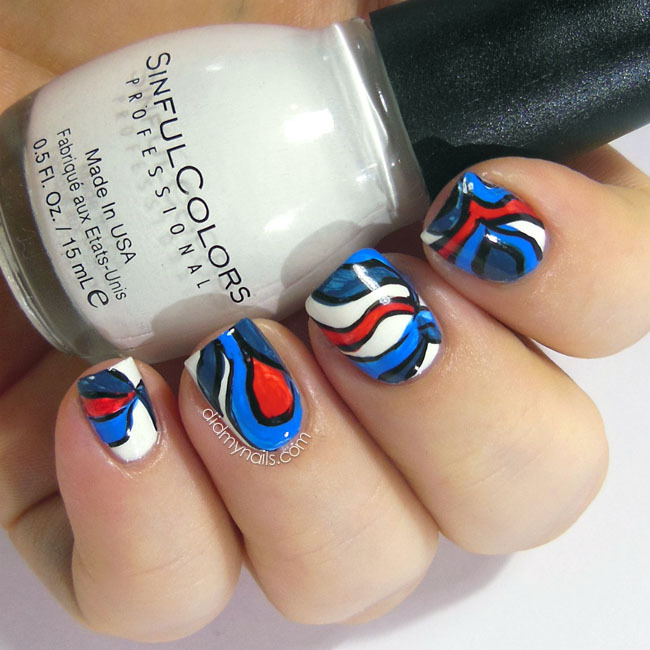 Plans for today included a water marble mani in red, white, and blue, but plans were forced to change. Still, 'Murica! 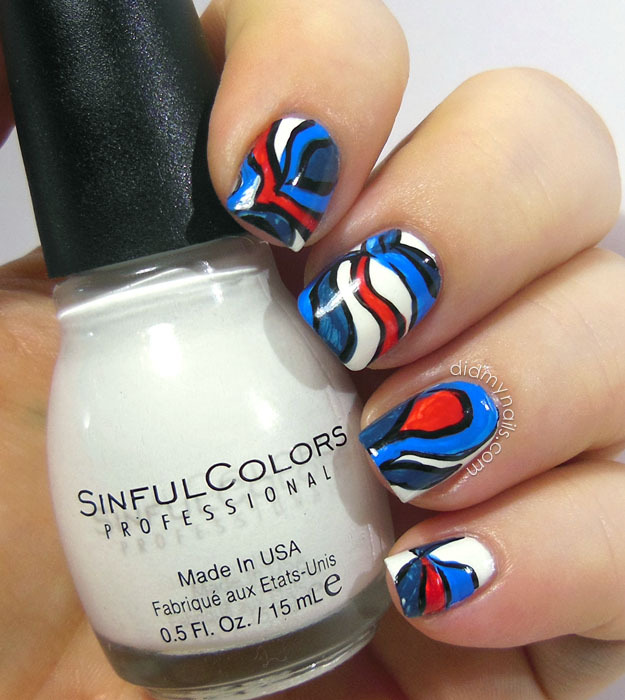 I so wanted to do a water marble to celebrate July 4th, but any bit of water marble mojo I might possess deserted me completely. Some days, despite picking good polishes and room temp water and blah blah blah, for whatever reason, it just doesn't wanna work. So, I grabbed some acrylic paints and faked it over Sinful Colors Snow Me White. It's not exactly a water marble look, but it does have a similar retro, lava lamp kinda feel. I also think it looks like it wants to be an airline logo when it grows up. Speaking of... I've actually had a lifelong dream to "play" the cannon in the 1812 Overture. Doesn't seem likely to happen, but that's why they call it a dream, right? Stay safe out there, and whether it's a holiday for you or not, have a Happy 4th of July! Interesting design for the day! Happy 4th of July to you! I love it - the colors alone makes you think of USA - and I love the free movements on this abstract!